Touch premium collection is made up of specially formulized oils which only contain plant oils and, unlike mineral oils, don’t clog the pores and let skin breathe. The basis consists of cosmetic soybean oil, which with its vitamins, minerals, lecithin and fatty acids enables a proper functioning of the skin cells and contributes to the skin’s healthy and nurtured look. Additional care and skin protection are provided by argan, almond and sesame oils. They are exceptionally rich in vitamins, especially vitamin E, which is a powerful natural antioxidant. Argan oil, also known as “Moroccan gold”, has been used in beauty care products for centuries. It is rich in essential fatty acids which participate in the regeneration process of damaged skin structures, prevent dry skin and loss of elasticity. 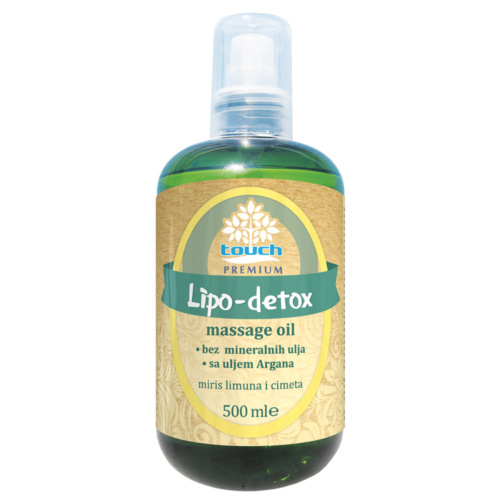 It is recommended for the care of dry, inelastic skin and reduction of stretch marks and scars. Sesame oil is absorbed well through the skin, it helps eliminate toxins, strengthens the immune system and improves circulation. Touch premium oils nourish the skin, hydrate it, making it softer and firmer. They reduce the already present irregularities and wrinkles, protect it from further damages and thus prevent early aging. They increase circulation which has a positive effect on mobility and eases muscular and joint pain. 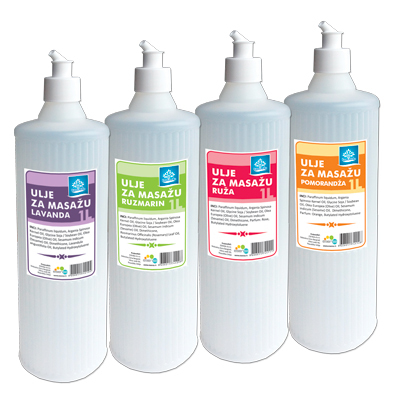 They are spread well, absorbed quickly and suitable for use at both salons and at home.